When President Rodrigo Duterte finally signed the Universal Access to Quality Tertiary Education Act, Filipinos are excited for the much awaited bill to implement around the country. Under this bill will cover a total of 112 Colleges and State Universities, local universities and colleges, and technical vocational schools. The free tuition law was ratified by the Congress last May then transmitted to the Office of the President. 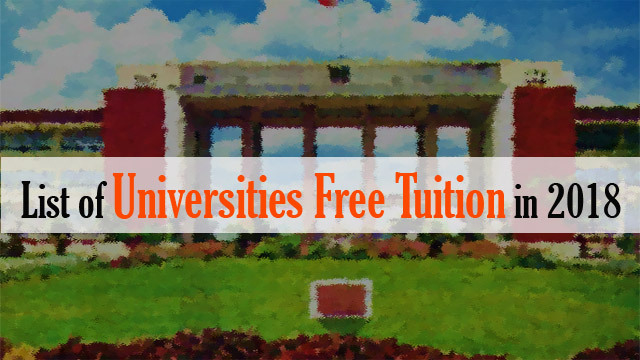 The newest law will also provide free charges on computer, admission, library, school id, entrance, laboratory, guidance and other miscellaneous fees however; students who are capable of paying their tuition can choose whether they like to avail the subsidies or not through the mechanism created by SUC’s. During his interview with the media, Senator Panfilo Lacson stressed that only poor and deserving students should benefit from this new law. He added that it will not be fair if the government will pay for the students who are cutting classes than those who really want to study. Lacson then pointed out Commission on Higher Education to screen their beneficiaries accordingly otherwise their efforts will put to waste. He also wants the Congress to have an oversight body if the law is properly implemented.